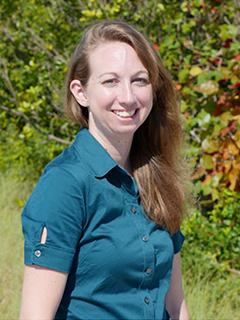 Cassandra Gaston is an Assistant Professor in the Department of Atmospheric Sciences at the University of Miami’s Rosenstiel School of Marine and Atmospheric Science. She is an expert in atmospheric chemistry, specifically, in aerosols, traces gases, and their interactions. Cassandra has lectured on topics such as atmospheric instrumentation, aerosols, and mass spectrometry. She has mentored undergraduate and graduate students on the use of particle sizing instrumentation and mass spectrometry for the sampling of gases and particles. Cassandra has guided students both in the laboratory and in the field resulting in first and co-author publications for those students, including undergraduate students. Cassandra received her Ph.D. from the Scripps Institution of Oceanography in 2012 and was a postdoctoral researcher at the University of Washington until 2015. She joined the Rosenstiel School in January 2016. Cassandra has participated in numerous field measurement campaigns including measurements made out at sea to characterize marine aerosols. She has also performed laboratory experiments to characterize gas/particle interactions that are of importance for modeling the role of atmospheric chemistry in air quality. Cassandra uses state-of-the-art analytical techniques, namely mass spectrometry, to characterize the size and composition of aerosols and to quantify trace gases in the atmosphere. These techniques are field deployable and can continuously analyze gases and particles in real-time. She has deployed these techniques to ground sites and onto moving sampling platforms, such as ships. She uses these techniques to characterize particles emitted from a variety of sources, such as sea spray particles emitted from the ocean and dust particles emitted from deserts. Particles emitted from these sources can facilitate the production of clouds and deposit into ecosystems thereby affecting the biogeochemical cycling of trace elements and nutrients. Cassandra also uses these techniques to study chemical reactions between gases and particles that affect the production of criteria air pollutants and the composition of aerosols.